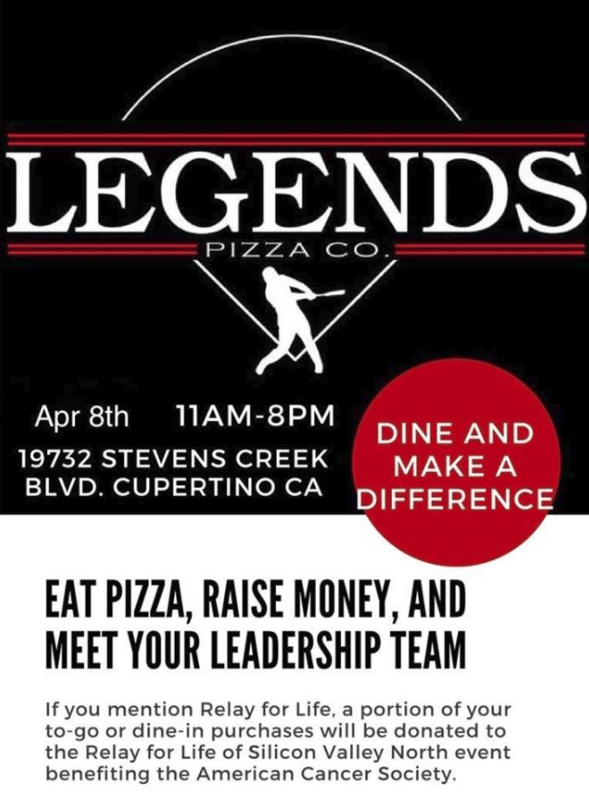 Legends Pizza Co. in Cupertino is hosting a fundraiser to benefit the Relay for Life of Silicon Valley North team on April 8 from 11 a.m. to 8 p.m.
A portion of all to-go or dine-in purchases will be donated to the Relay for Life Silicon Valley North team, a combination of Los Altos, Mountain View and Sunnyvale, which benefits the American Cancer Society. Customers must mention Relay for Life or bring in the flyer below to participate. Legends Pizza Company is located at 19732 Stevens Creek Blvd. For more information, click here. 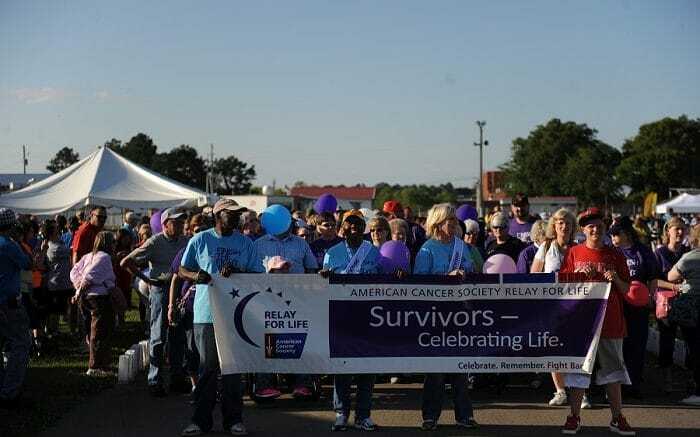 Be the first to comment on "Legends fundraiser to benefit Relay for Life Silicon Valley North"